Dame Edith Mary Evans DBE (8 February 1888 � 14 October 1976) was an actress who was known for her work on the British stage. She also appeared in a number of films, for which she received three Academy Award nominations, plus a BAFTA and a Golden Globe award. 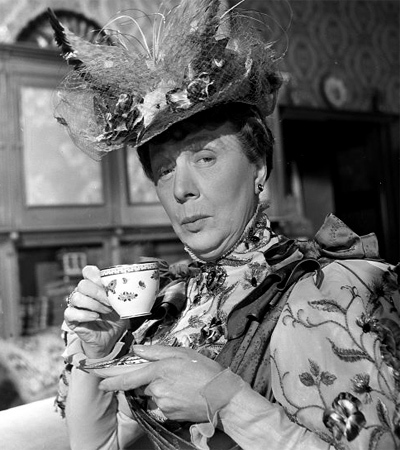 Evans was particularly effective at portraying haughty aristocratic ladies, as in two of her most famous roles: Lady Bracknell in The Importance of Being Earnest (both on stage and in the 1952 film), and Miss Western in the 1963 film of Tom Jones. By contrast, she played a poverty-stricken old woman in one of her most acclaimed film roles, in The Whisperers (1967).